Pallet Wrap - We won't Stretch Your Budget! As leading suppliers of Pallet Wrap, Stretch Film and associated products we are the UK's number 1 choice for genuine PIFA approved materials guaranteeing your length and thickness! Home / News / Product News / Pallet Wrap - We won't Stretch Your Budget! Pallet Wrap - We won't Stretch Your Budget! Our Films are PIFA approved, which guarantees you the quality, thickness and length. 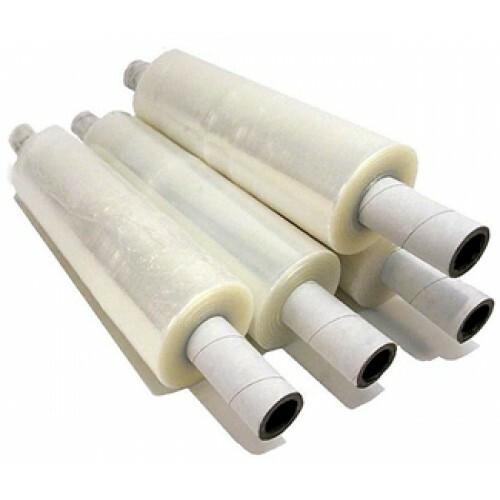 Believe it or not many suppliers we have found short change the customer with shorter length rolls, how would you know? Well actually you can weigh the rolls you have been sent by your supplier or manufacturer and compare to our product, if it weighs less there is less material therefore you have probably received a shorter length roll or a thinner material, be careful who you buy from! We also supply products which complement our Pallet Wrap including strapping tape, strapping buckles, combination strapping tools, pallet wrap machines which allow you to quickly palletise hundreds of pallets per day or we can provide manual pallet wrap dispensers. Our prices are very keen and backed up with our price promise, plus you get what you paid for, don’t forget to weigh!